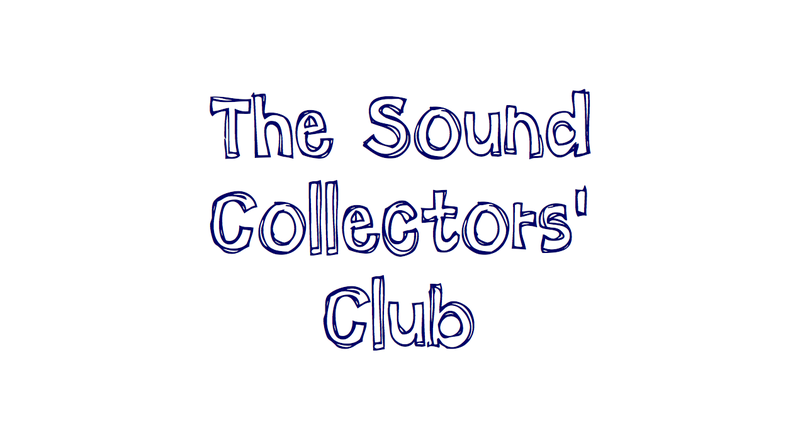 The Sound Collectors’ Club is basically a private account I’ve set up on Soundcloud. The idea is that people can upload their recordings on a given monthly theme to this account via the dropbox above. Once the recording or recordings have been transferred into that month’s private ‘set’ (by me) I will then e-mail you a private link which will give you direct access to all the tracks which that set contains and which you are free to download and use within commercial projects without any restriction (other than you obviously mustn’t go and sell them on as sound effects – individually or as libraries). Hence, from contributing just one recording you could end up with a small arsenal of sounds to add to your library. However, a contribution is necessary in order to even be able to audition any recordings within the private set. Part of the big appeal for me of using Soundcloud for this venture is that some of it’s ‘Stat’ features come in really handy. Once you’ve gained access to a set you can comment on each other’s recordings and ‘favourite’ a sound – all of which I’m hoping will soon be able to be automatically documented on Twitter for people to follow (and, hence, within the ‘Activity’ feed above). The creator of the track that gets the most downloads (decided by the number of ‘favourites’ that a recording gets if download numbers are tied) gets to choose the theme or topic for the following month. In this way, participants get a chance to supplement their libraries in the way that best suits them rather than me dictating the subject matter every month. The whole basis and appeal for me of this idea is it’s simplicity but please do bear with me if there are any rough edges that crop up over the coming weeks that I may have overlooked. I’m no web wizard: I have no idea how to set up a website (hence I’ve stuck with wordpress.com) and have no real intention of learning as I prefer to focus all my attention on my primary ambition which is to keep getting better and better at sound editing. This is still a work in progress: I’ve made a point of avoiding the inaction that overdeliberation can produce but as a result I will need to continue fine tuning things over the coming weeks. Having said all that, in theory the club should need very little supervision other than accepting submissions so I’m hoping this is a very straightforward yet fruitful venture! Feel free to offer up any comments or suggestions within this blog or through Twitter. With a bit of luck, there’s a few of you folks out there that are keen on this idea too and we can start getting a few sounds together! This entry was posted on October 30, 2010 by sonicskepsi. It was filed under Notices and was tagged with Introduction, Notice. This is a great idea, Michael, and I’ve working on incorporating some of those ideas into the Sound Design Challenge for future events. I’ve spoken to people about the idea of “create a sound effect for this” and everyone who participates gets a copy of each others’ work. There’s been positive response to this idea, so it will happen in the future (maybe January?). I’m also planning something along the lines of a “record it” scavenger hunt idea (I’m just letting the thing grow a little more before running that one). I’ve also just added a new feature to my site called SoundSwap, for people to share and trade personally recorded/synthesized sounds. Having spoken to Shaun I just want to clarify that, due to the ‘sets’ being private, no-one gets access to the sounds within unless they contribute. Hence, no-one can get something for nothing. This is a brilliant idea. I have uploaded 2 rain related effects for November. Can you publish an RSS feed of this blog so I can follow it? No problem Mike, will do – although all activity will be listed on Twitter which I believe you follow – but yes I’ll put an RSS feed on for the non-Twitterers out there.